This building is a rare opportunity for the Page area.....large professional office building complete with reception area, conference room, work rooms, office spaces and enclosed storage facility that will accomodate your largest boat preference! 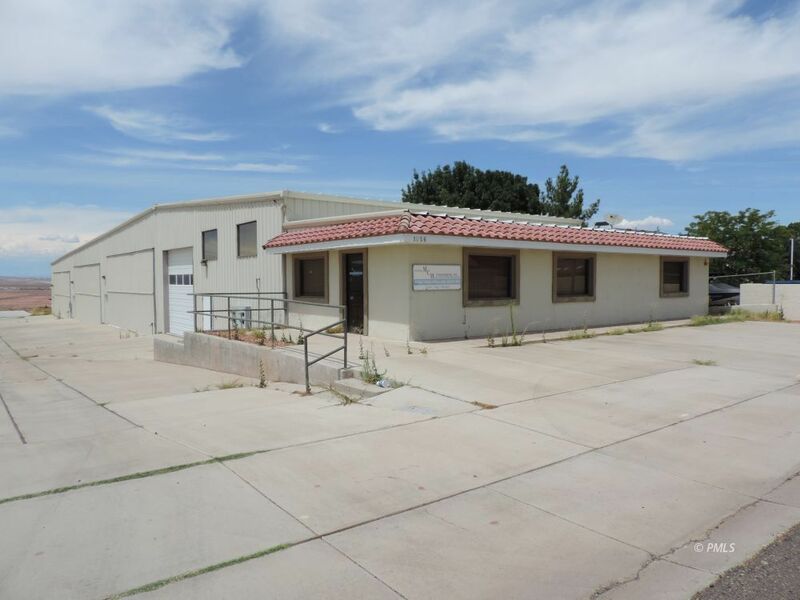 Paved parking in the front of building and large driveway into storage area makes this the perfect commercial opportunity. Call for an appointment.